Is the Lake District too far to visit on a day trip from London? 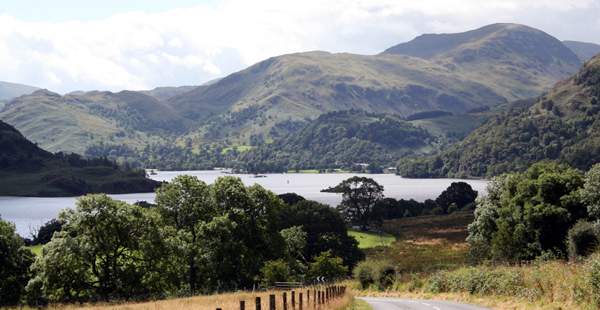 Take the Virgin Train from London Euston to Oxenholme the Lake District where your guide will be waiting to meet you. At the end of your day your guide will return you to Oxenholme in time for the return train to London. What can I see in a day? Spectacular mountain and lake scenery is a given. Add to this backdrop an exploration of Lakelands literary connections with Beatrix Potter and William Wordsworth, visit Historic Houses and Gardens such as Dalemain for a behind the scenes tour, enjoy a scenic lake cruise, bring your hiking shoes to experience the fresh air and hidden viewpoints. Yes if you have time we recommend an overnight stay to combine a half day tour on arrival with a full day exploration the following day. This allows more time to sample delicious local food in some of the finest restaurants in the country, try a local beer, enjoy the ‘spirit of Lakeland’ at the Lakes Distillery and experience this unique corner of England.